On this day, 20 until the Cardinals begin the 2015 season, it’s appropriate that their first opponent is the Cubs. 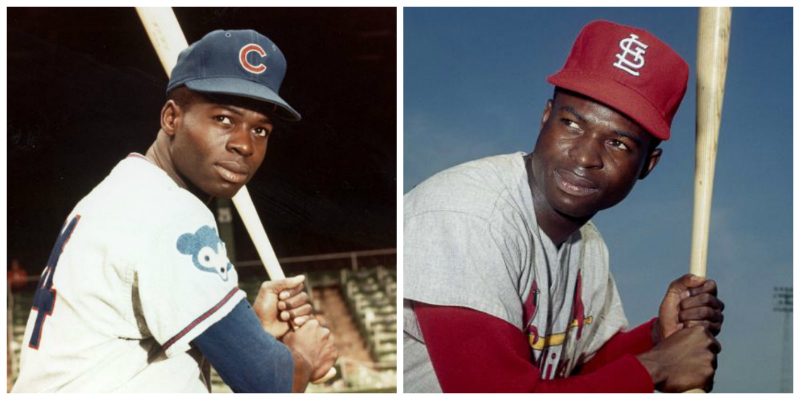 Chicago’s National League team, of course, was where Lou Brock played the first three-plus years of his Hall of Fame career, until being traded to the Cards on June 15, 1964. Maybe you’ve heard about that trade? Ernie Broglio, Bobby Shantz and Doug Clemens were traded from the Cardinals in exchange for Brock, Jack Spring and Paul Toth. Yet it’s Brock and Broglio that were the centerpieces of the trade, and the names that are remembered most. My Cubs fan family members certainly have heard about the trade — my uncle Jim, a Cardinals fan, makes a point of reminding them about it regularly on June 15. And “Brock for Broglio” even has its own Wikipedia entry. The phrase “Brock for Broglio” is sometimes used in the sport of baseball to signify a trade that in hindsight, turns out to be an extremely lopsided transaction. It was thought initially the Cubs had done better in the deal, as Broglio was coming off some impressive seasons while pitching for the Cardinals, while Brock had been considered a disappointment for the Cubs. Almost immediately the effects of the trade were felt, as Brock would bat .348 for the Cardinals and lead them to winning the 1964 World Series. 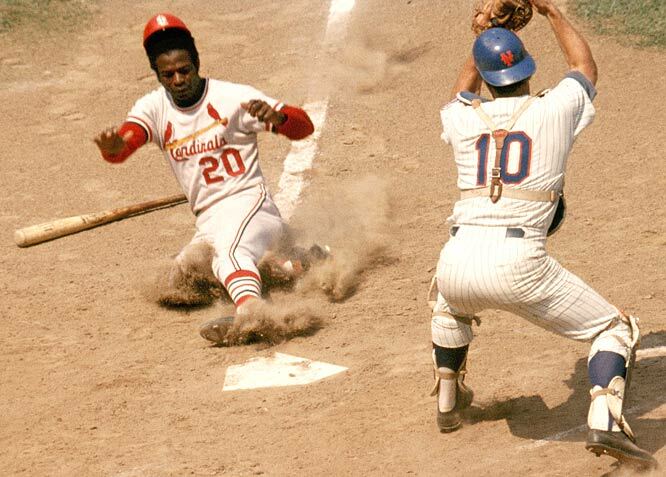 Brock also helped the Cardinals to another World Series title in 1967, a pennant in 1968, and played successfully for St. Louis through 1979, amassing 3,023 hits and 938 stolen bases (at the time becoming baseball’s all-time leader in stolen bases) en route to his Hall of Fame election in 1985. Meanwhile, Broglio went only 4-7 with a 4.04 ERA for the Cubs, and by 1966 was out of Major League Baseball. Broglio did not tell anyone at the time, but he was suffering from an injured elbow since the second-half of the 1963 season, and in November 1964, had his ulnar nerve reset. Speaking of, there is always much to be learned at RetroSimba, Mark Tomasik’s fantastic Cardinals historical site. And Mark has written plenty about Lou, which you can find here. Plus Lou looks much better in red than in blue, doesn’t he? This entry was posted in 2015 Cardinals and tagged Chicago Cubs, Countdown to Opening Day, Lou Brock by Christine Coleman. Bookmark the permalink.